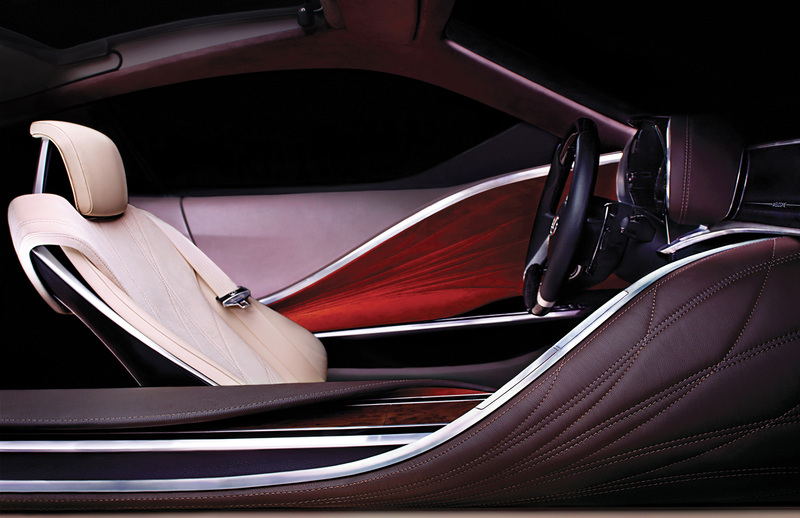 While the first teaser image made it difficult to guess what the concept might be, this new image paints a much clearer picture — the leatherwork sculpted around the center console, the walnut wood trim, and the high level of detail throughout the cabin all point to a next-generation Lexus SC. Should this be the case, there’s other takeaways from this single image — most obviously, judging from the front seat placement and the slope of the roof, it’s almost certainly a coupe, and although I can’t account for the inset “track” attached to the open roof, it doesn’t appear to be a convertible. webpromo: I have been an Lexus's model user for all my life and they never failed me. Loved the design, this is a great car! Yishai: If Lexus had an interior like that... Bentley would be shitting bricks.